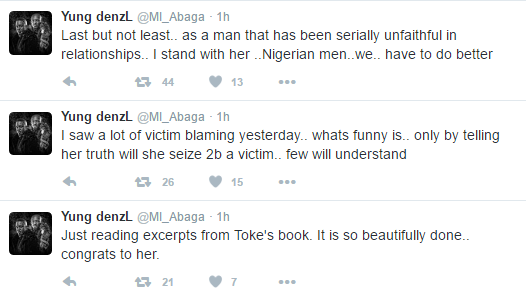 The rapper got on twitter an hour ago to say he is with media personality Toke Makinwa who launched her book ‘On Becoming’ on Sunday revealing all she went through in the hands of her ex husband. Read the tweets below…. Read below upwards.